2018 updated version. 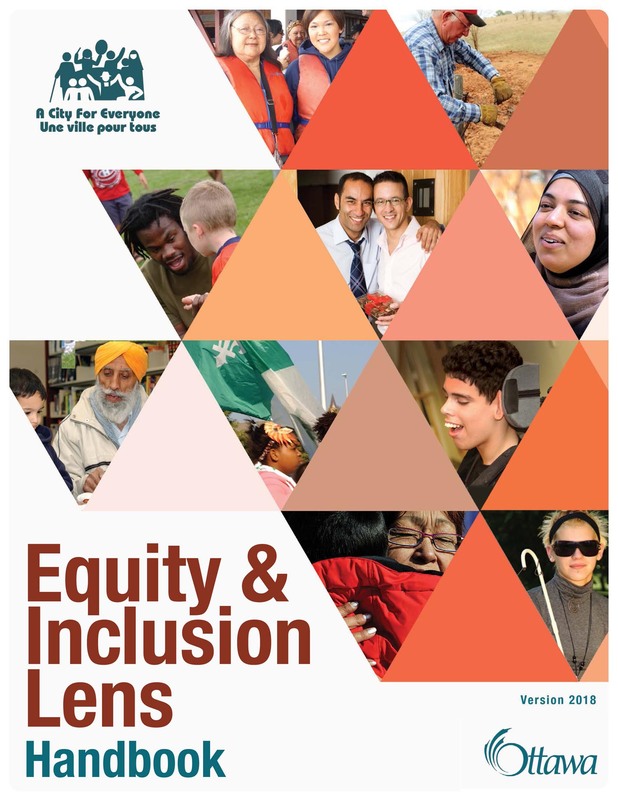 Currently being implemented in the City of Ottawa, this comprehensive handbook helps staff and management of municipalities view their planning and program development and delivery activities to ensure they are inclusive of the full diversity of residents. Funded by Status of Women Canada and City of Ottawa. You can also download the print version of this guide.